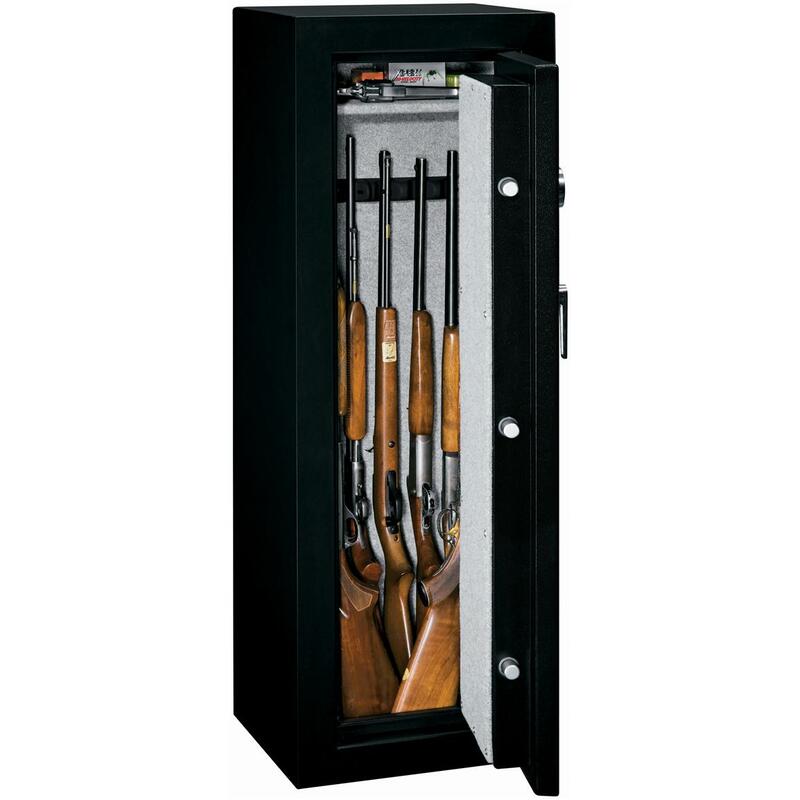 Fire Resistant 8-Gun Safe with Electronic Lock from Stack-On®. Top security, adjustable capacity, BIG peace of mind. 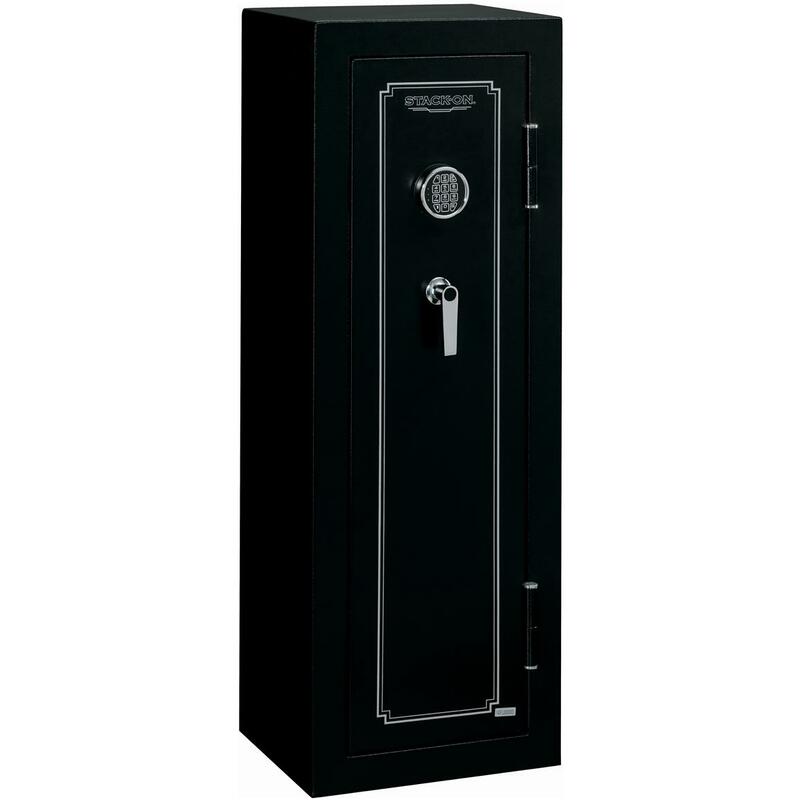 Firearms, valuables, documents... lock it up like Fort Knox with Stack-On's Fire-Resistant 8-Gun Safe with Electronic Lock. 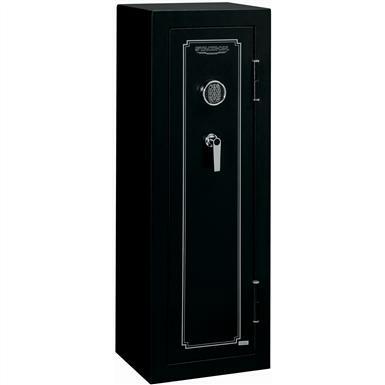 Independently tested to withstand a half hour in heat up to 1,400°F, the Stack-On 14-Gun Safe boasts 5 locking points, combination keypad and a drill resistant steel plate to protect against the unexpected and the unauthorized. Better yet, an adjustable shelf lets you customize your storage options. Exterior Dimensions: 18 3/8" w. x 15 1/4" d. x 4 1/2' h.
California approved firearms safety device that meets the requirements of California Penal Code Section 12088. 234 lbs. Black matte finish with chrome accents. Please Note: This item is shipped by commercial carrier curbside. This product Ships in 1 Box, Measures 56"l. x 18 1/2"w. x 16 1/2"h., and Weighs approx. 234 lbs. No expedited delivery. High-value orders require a physical street address, otherwise insurance costs will be added to the shipping total.